Goodwill can get a bad rap from time to time because there is so much to go through! However, if you shop the right way, you can find some real treasures at an amazing price. 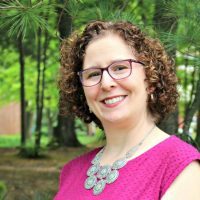 Here are my tips for shopping at Goodwill. Just because one Goodwill is bigger than another doesn’t mean they have more treasures. All the donation boxes get split up and taken to different stores in the area, so a Goodwill in the poorer side of town could have more treasures than the Goodwill in the upscale part of town. As you visit stores regularly, you’ll noted the differences. In my area, some have a larger furniture section vs. clothing section, so choose the store depending on what you’re shopping for. Goodwill usually has their 50% off Saturdays once a month, and those are great days to find treasures hidden around, but you must get there right when they open. Also, every Goodwill store has their own sales throughout the month. Find out when their sales are and hop around to different stores during sale days. Around here, each store has a sign when you first walk in that tells you which section of the store is on sale that day. When people are packing, and moving, throwing things in a box to send to Goodwill is much easier than trying to figure out if it’s worth any value. Look at the dishes and housewares stuff in each Goodwill store to find hidden treasures. I’ve picked up gorgeous serving bowls and platters over the years. And you can also upcycle what you find, like Amy did with this Goodwill lamp. You may think nice-looking furniture won’t end up at Goodwill, but when someone is cleaning out Grandma’s house and doesn’t have time to sell it, they send it to Goodwill. My friend Jess scored a 6-piece wooden table with all the chairs for $60 on 50% off day. That table was originally worth $800! Sometimes you do have to look past the very-used pieces to find a treasure, but they are in there. When it comes to Goodwill, you can’t just go to your size and look for a color you like. In fact, many stores organize the clothing by color rather than size. There is definitely a learning curve! Go through each piece of clothing on the rack looking at the size, brand, and condition. You can often find brands such as Abercrombie, American Eagle Outfitters (see a styled sweater), Loft and Old Navy to name a few. You can score a pair of Nike shoes for next to nothing, or a pair of winter boots for $5. I like to sift the shoe racks looking at condition first. The shoes are supposed to be organized by size, but that isn’t always the case. Not only can you find a pair of great shoes at a decent price in your size, but you can find shoes you could buy, clean up, and resell for a little extra cash. Briana suggests shoes as well as 6 other items in Goodwill Finds You Can Flip for Profit. If you shop your local store on a regular basis, get to know the people who work there. Chances are, if you make a good impression, they will send you a text or call you when something you want comes in. You can even find out when a new shipment comes in and gets put on the shelf. It’s always a good idea to make friends and reap the benefits by finding treasures easily. 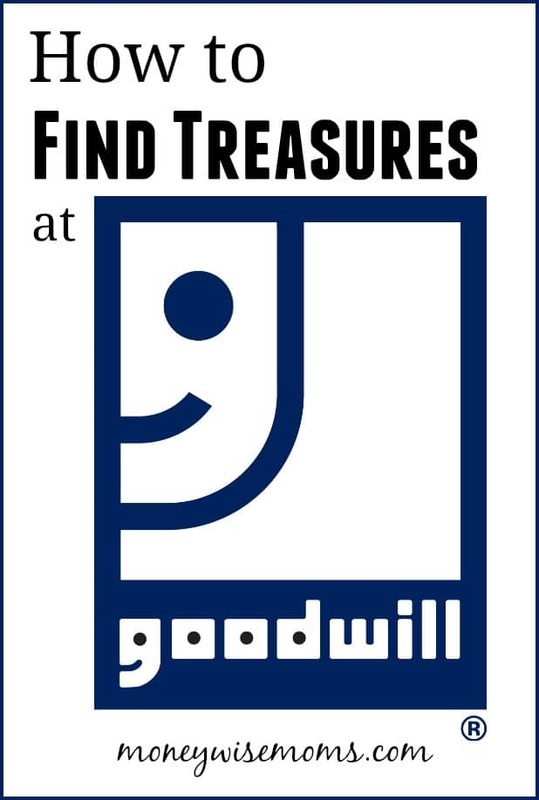 What are your tips for finding treasures at Goodwill? My friends and I LOVE shopping at our local Salvation Army on Wednesdays. They have everything except one tag color on sale for 50% off. Every other day of the week at least one color tag is on sale 50% off. I just got a red velvet jacket for $1.50 a couple weeks ago. I frequently get jeans for around $3. Love it! Stopping by from the This is How We Roll Linky Party. Have a great weekend!